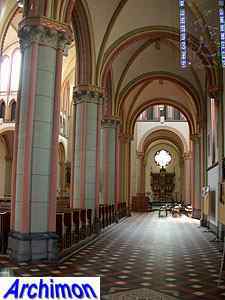 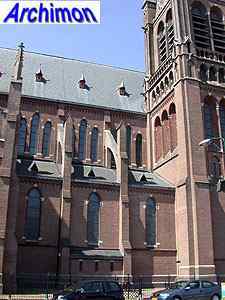 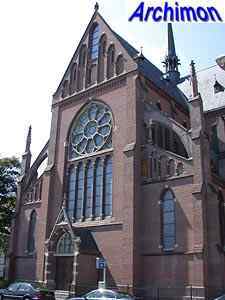 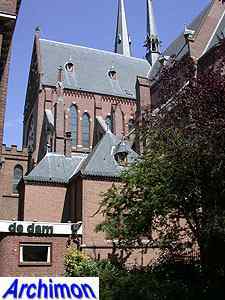 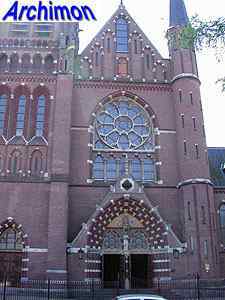 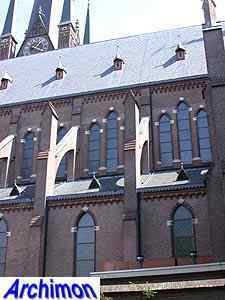 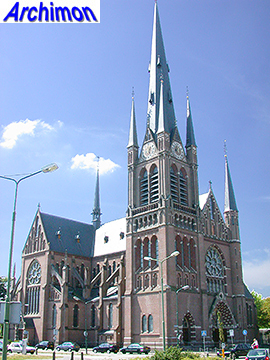 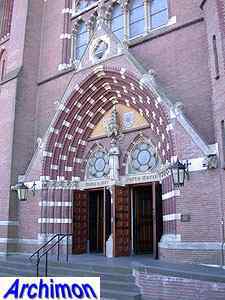 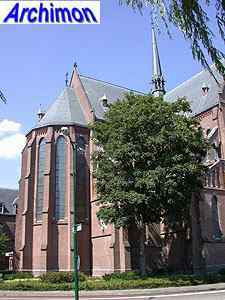 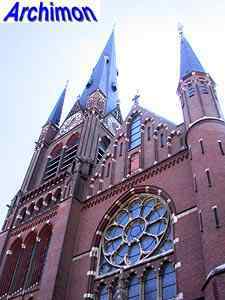 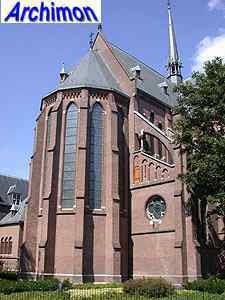 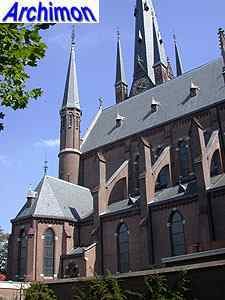 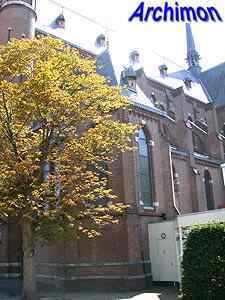 Woerden's catholic church is a big three-aisled cruciform basilica in neo-Gothic style. 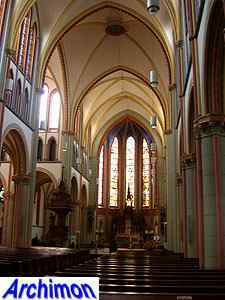 The transept is also three aisles wide. 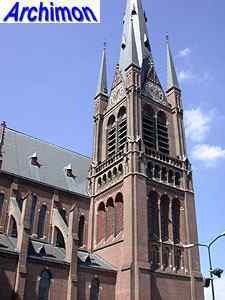 Standing next to the front is a square tower with a tall spire and four corner-turrets and decorated with niches. 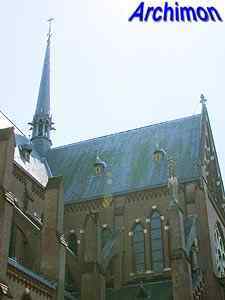 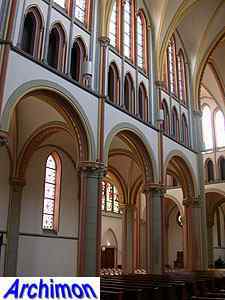 Architect Molenaar used early-Gothic elements for his design. 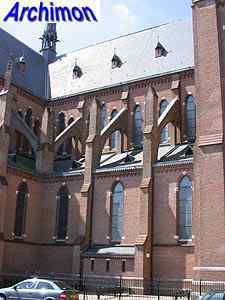 The church is mostly built of brick, with small pieces of natural stone used for decoration only. 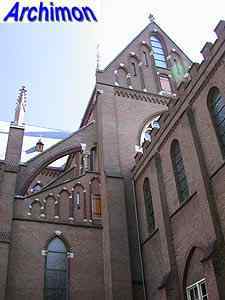 The St. Bonavetura is a highlight in the career of architect Nicolaas Molenaar sr..